For registration info: Stop by the Tasting Room to sign up! 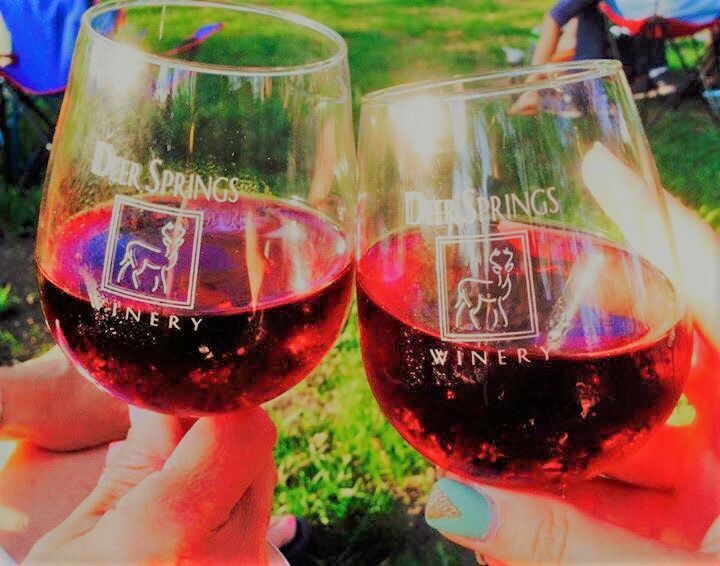 Deer Springs Winery’s Wine That’s Mine Club is Nebraska’s Premier Wine Club experience, offering exclusive access to unique wines, and exciting Member only events all at special savings. Whether you’re looking to have bottles on hand to enjoy at home with family & friends or you want to stock your own cellar our Club is perfect for anyone who appreciates high-quality Nebraska wine. Each quarter, members receive a wine box which will include both age-worthy and ready-to-drink wines. This club attracts our more passionate wine connoisseurs with a palate for unique, award-winning wines. This club is also great for foodies who love to experiment & cook with wine! Each quarter, our winemaker selects 6 bottles of wine that are shipped or picked up by our members. Club release parties-food, friends, and fun when you come pick up your wine! Complimentary classic tasting for member and a friend each visit. Guaranteed allotment of limited production wines. First access to new releases. Four convenient wine boxes per year. 6 bottles per box. Priority notification of new vintage releases. Exclusive access to members-only events. Priority invitation and preferential pricing to select DSW local events. 20% savings on full cases of wine. 10% savings on bottles of wine. 10% savings on facility rental fees for select private events. There will be a onetime membership fee of $49.99 to join. An e-mail notice will be sent prior to the charge of each wine box.